Back in the 1960’s, group dynamics expert Bruce Tuckman published a theory of group development familiar to any of today’s organizational development professionals. If you work for a corporation, you’ve probably been exposed to the theory that for a team to grow, tackle problems, find solutions, plan work, and deliver results, they must evolve through four stages of growth: Forming, Storming, Norming and Performing. According to Tuckman, you’re always in some stage or another of “ ’orming.” Some groups never get to Perform very well because they get stuck going back and forth through the preliminary steps. Few sports teams progress quickly – going “worst to first” is especially impressive. In pro soccer at that time, only the Philadelphia Atoms were able to achieve championship Performance in their inaugural season. So going into the playoffs, exactly where are our Boys in Blue in this group development continuum? As is this club’s custom, they were late to the game in Forming this year and that had its effect. While the Academy plays an important role in this team’s Formation, the teenagers in the back line, as good as they’ve been, are progressing through a learning curve that few other teams have had to contend with, and that fact rears its ugly puss at the most inopportune, pressure-packed times. Among the veterans, it wasn’t until Dockal became acclimated that the team became better oriented to their offensive tasks and to one another. Formation lag has cost the Union games and points. The Front Office’s aversion to mid-season additions may actually have helped somewhat with the Forming step by avoiding the variability that comes with Re-Formation. On the other hand, adding Wayne Rooney mid-stream hasn’t hurt D.C. United. Unless there are well-hidden locker room battles, this team appears to do its Storming on the field, and it has hurt them. The infamous red-card game in Atlanta, for example showed that this team, or at least few key members, can lose control of themselves and the game at pivotal times. The worst indication that Storming may be going on behind the scenes just happened, with Burke and Dockal visibly lashing out at one another for all to see in Yankee Stadium. Storming is a real problem for sports teams – Billy Martin and Dallas Green are notable exceptions in taking Storming teams to championships. Whoever skippers the Union should be so lucky in 2019. Well-Normed team members share ambition to work for the team’s goals. They tolerate and even appreciate each other’s’ idiosyncrasies and make an effort to move on. Until the U.S. Open Cup final, we saw a bunch of games where everybody looked as if they were on the same page. But we still saw too many other games in which few if any were reading the same book. Jim Curtin is, from all appearances, a Normer, as he should be but usually to excess. His loyalty to his regulars, his reticence to juggle lineups, his hidebound adherence to substitution routines are his way of trying to generate Normalcy. Unfortunately, Normers are so focused on preventing conflict that they are reluctant to share controversial ideas. Still, Curtin’s leadership instincts may be improving slowly. He finally switched Burke for Sapong to ignite the offense. And while he did sit Rosenberry a bit longer than he should have last year, he recognized that Burke needed to sit in the timeout chair on Sunday. At times, more frequently than ever before, the Union have Performed as competent, knowledgeable and motivated players. But this coach and this team have yet to achieve the consistency of high-Performing teams. Coaches and players alike still strive for better situational awareness and tactical adaptability, too frequently falling short. The lack of ideas against heavily bunkered teams and the difficulties they have had playing on FCNYC’s kiddie-sized field do not bode well for progression through the playoffs. All the same, this team has Performed remarkably well at times, so credit where credit is due. 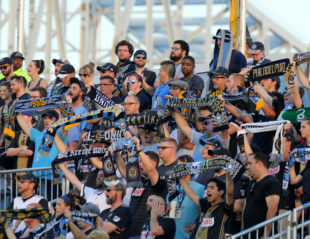 It is possible that the Union find their way out of its Storming – Norming – Performing – Storming Again mobius loop during the Playoffs, and that is our most fervent wish. Whatever the result and whenever it comes, this team can only benefit from an earlier postseason Re-Forming stage than it has had in the past. There’s a lot of Storming and Norming to do again next year. Useful abstract sequence, forming, storming, norming, performing. Thank you. I will try to remember it as it would be a handy device to recall next March. Well, we just got Ormed real good in the Bronx. It was the season that coulda been, that got away, that was again So Union.Time to start over. Time to Reform.